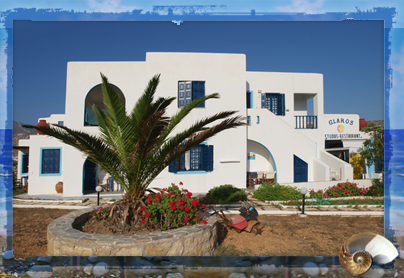 Arkasa are located in the southwest part of the island and is one of the most beautiful villages. Karpathos, is the second in size after the Dodecanese island of Rhodes is one of the most remote and beautiful Greek islands. He has 301.2 sq.km. area., 160chlm coastline and a total population of 6511 inhabitants, still maintains a strong tradition and diafyllasei its rich history. It is a rich habitat and therefore have protected areas (where surviving populations to extinction). It keeps up the ancient traditions of the mores and customs, music and more. The old capital of the island was the Aperi, 8 km from the present capital of the island and invisible from the sea. Aperi was then the administrative and cultural capital and headquarters of tounisioy metropolis. Seaport and shareholders of Aperiton was drinking in 1820 which built a few stores and some wells in 1850 and created a settlement with 50 people from Aperi origin, and Volada Menetes. Because of the many wells, drinking wells and renamed in 1892 to around 150 residents became the capital of the island. After all these people and others came from other villages and until 1998, Pigadia an autonomous municipality when it became the seat of the municipality Kapodistrian Karpathou.Simera Pigadia is a modern city about 3000 residents, with many hotels and services, cafes , Restaurants and anything else that has a center-city dioikitiko. Here are scattered monuments from the time of Italians and the ancient citadel of ancient Posideiou. Pigadia exists in modern organized marina and the main port of the island.